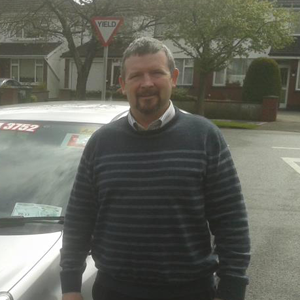 With an average rate of €33 per hour, driver training in Ireland isn’t cheap, and many new drivers struggle to afford driving lessons. Speaking to the BBC, one driving instructor stated that ‘people are finding it a little bit more difficult, with the cost of living going up. They're finding driving lessons are an extra expense’. If your student is paying for a full hour, it’s important to give them this and not waste their time, or their money. Always arrive on time for your lesson, have your vehicle ready to go (clear up any rubbish, for example), and have a lesson plan prepared so that you can get to work straight away. It might mean a little extra effort in your own time, but your student will thank you. Not everyone is blessed with naturally great interpersonal skills, but for a driving instructor this is one of the most important qualities. So important, in fact, that an examiner can actually disqualify you during stage 3 of the ADI test if you fail to engage with your student throughout the lesson. According to the stage 3 marking sheet, published by the Road Safety Authority, your ability to be friendly and courteous accounts for 24 percent of your final test score, and can make the difference between a pass and a fail. A student will expect you to introduce yourself at the beginning of each lesson, encourage questions, and behave in a supportive manner that instills driver confidence. If a student asks you what your pass rate is, what do you tell them? 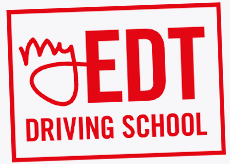 There are some driving instructors in the industry that boast 100 percent pass rates, and guarantee you’ll pass within just a few weeks with an intensive driving course - they’re lying! Of course, you want to portray yourself in a good light, with a good success rate, but bending the truth can have a significant impact on how much effort a student puts into learning to drive. Learning to drive isn’t always easy, and it’s important for your students to know that passing their theory and practical examinations will require dedication, commitment, and hard work. Don’t scare them off, but don’t sugar coat things either. If you’re running your own driving school business and are responsible for sourcing your own clients and paying your own overheads, it makes sense that you’ll want to cut corners wherever possible, but keep in mind that not only can some short cuts affect your ability to teach and impact your reputation, they could actually be dangerous. It’s not unusual in the industry to hear of instructors who use that hour in the car for business development, arranging lessons with new students, for example, or who pick up their next student during the previous lesson to save on fuel costs. A good instructor should always be dedicating their attention to the road ahead, and to their current student.